Upon making his decision to take his talents to the Western Conference and join the Los Angeles Lakers, many former LeBron haters had to tuck their pride away and get used to the fact that they would be cheering for a man who they’ve shunned so many times during Kobe arguments online. 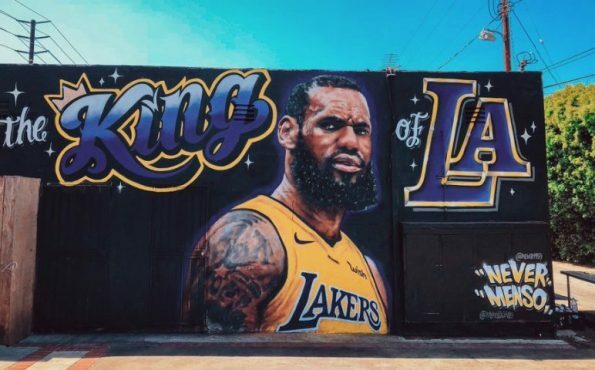 One guy who was excited about the signing was an artist out in L.A. that decided to create a LeBron James mural and crowning him ‘King of L.A.’ It took just days for somebody to go out there and deface it with his NBA Finals record as well as other things. The original artist has since removed the entire piece since people continue to vandalize it.